All right, if you read a newspaper today or listened to the radio or did anything except stick your head in the sand (or dig in your garden all day) then you probably heard it somewhere else first, but it’s still breaking news: two articles in the prestigious journal Science suggest that nitrogen, much of it from synthetic fertilizers, is doing far more damage to our oceans, our air, and our health than has been previously recognized. 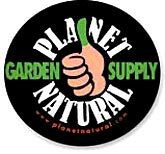 Synthetic ammonia and urea, staples of synthetic fertilizer, break down into nitrogen oxides, which are just all around bad news, environmentally speaking. When they are released into the atmosphere through microbial action, they contribute to ozone formation, which in turn causes or exacerbates a long list of respiratory problems. (Ozone is one of the key ingredients in L.A.’s notorious smog.) When nitrogen oxides descend to earth again, they do so as acid rain. 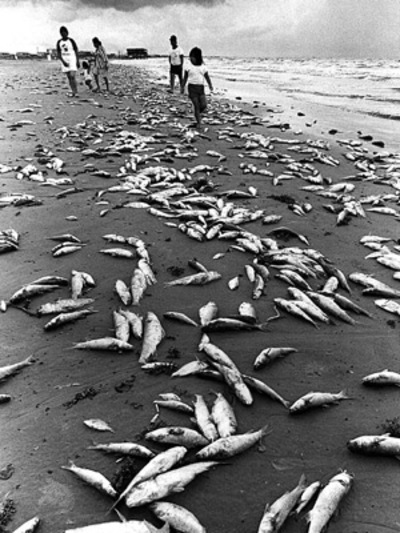 When they are leached out of the ground and into waterways, they promote algae blooms, red tides and “dead zones”. When they escape the ocean back into the atmosphere again, they do so as nitrous oxides, which contribute to global warming. The real shocker, to me at least, is how much fertilizer ends up in our waterways and how little actually gets into the plants it’s intended to boost. The US EPA page on Sustainable Landscaping has estimated that only forty to sixty percent of the fertilizer applied to lawns ends up in grass—the rest washes away. The Economist article “Dead Zones,” reporting on the new articles in Science, had an even grimmer estimate: only 10-15% of the nitrogen compounds produced as fertilizer get incorporated into food; the rest ends up in the environment. The problem isn’t the gaseous nitrogen in the air, but anthropogenic reactive nitrogen compounds: to wit, synthetic or man-made (anthropogenic) chemicals that include nitrogen along with other elements (nitrogen compounds) that are likely to react with other chemicals, forming new compounds (reactive). And many of those new compounds are dangerous. Reactive nitrogen, primarily nitrogen oxides, is produced whenever we burn fossil fuels and whenever synthetic fertilizers containing urea and ammonia (which means most synthetic fertilizers) start to break down, which they will do, both in air and water, unless they are taken up by plants. The AP story was carried in the NY Times and just about everywhere, but a more thorough article ran in The Economist. The picture above came from the home page of the Woods Hole site on Harmful Algae. It shows a massive fish kill in Texas. Yes. And this photo is from the least hysterical, most scientifically restrained source. They don’t blame fertilizers here, they just show the results of algae blooms. Oh dear, I didn’t mean to imply that digging in the garden was equivalent to living with one’s head in the sand–far from it. I always feel like it’s cheating to revise a post, but I might do it. That’s not an impression I want to leave. Amy, the stuff I’ve learned about pesticides in the past few months would make your hair stand on end. 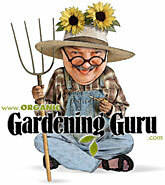 It’ll all be available in a few more months, when my organic lawn gardening article goes online. In the meantime, stick to your organic guns. That is the fantastic bunch of information really very appreciable job.The real shocker, to me at least, is how much fertilizer ends up in our waterways and how little actually gets into the plants it's intended to boost.